Many people do not put enough emphasis on the lighting in their home. They will only ever think about it when they need to change a lightbulb. 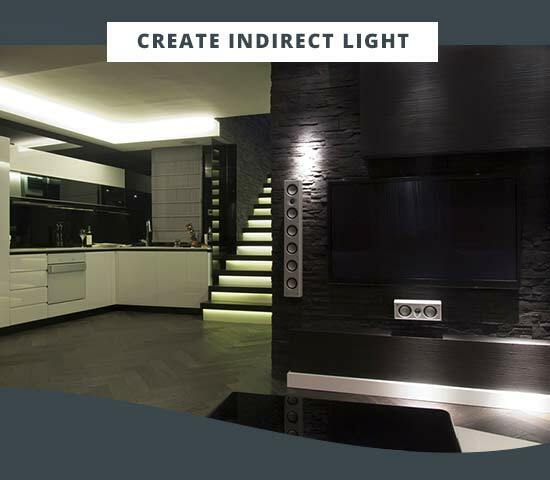 However, lighting can really change the look and feel of a home and it is something that all homeowners should think about, especially when decorating or designing a home. Changing the lighting can help create a complete transformation; the good news is that you do not have to spend a fortune in the process. LED lighting is one of the best choices when it comes to interior and exterior lighting for the home because these last for a long time and use relatively little power as compared to standard bulbs. 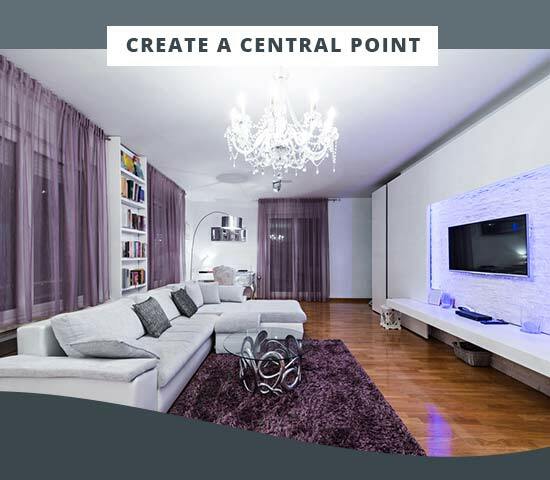 LED lighting is ideal for those who want to create a central point within a room. This is a point to which you wish people’s eyes to be drawn upon entering the room; it could be a piece of art (picture lights are great for this) or the TV perhaps. If you want to create a stunning cinema-style appeal in your living room, you can place an LED light behind your TV. If you really want to take things to the next level, use colour-changing lighting, which can be alternated depending on the style of programme or movie showing on the television. As well as creating a dramatic appeal, LED lighting behind the TV will ensure that any glare on the screen will be removed. LED lighting can also be used in strips along a wooden floor or up a staircase for a modern effect, which will look stunning. These strip lights are not only beautiful to look at; they are an excellent way to ensure safety on the stairs and they can be left on at night instead of hall lights. In most homes, light comes from ceiling fixtures or floor and table lamps. These styles of lighting can look great but they are only useful for creating direct lighting. 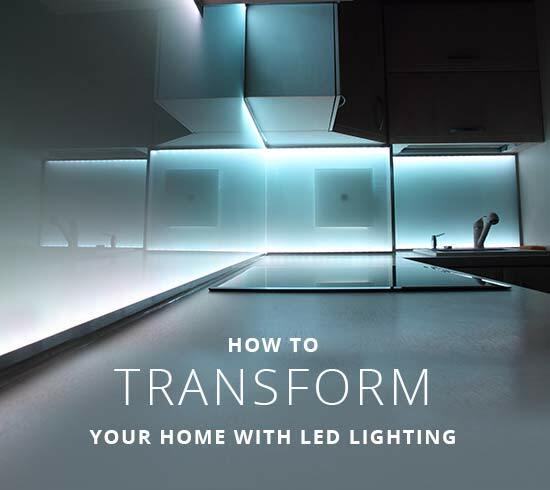 With LED lighting strips, you can produce light from a number of angles distributed evenly around a room. This means less likelihood of having shadows and an illusion of the room appearing bigger. 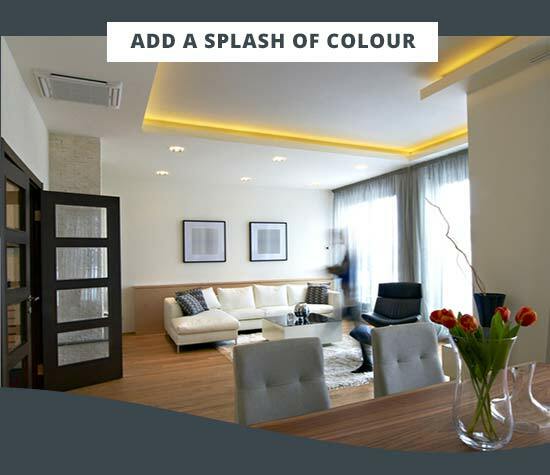 Coloured LED lighting can transform a room, especially if there is not much colour in the room already. This may be the case if you have a kitchen or bathroom with a neutral theme. You can then use coloured strip lighting to create a splash of colour that will look incredible. There are so many choices of coloured LED lighting available that look stunning, especially with bathroom lights. LED lighting may be expensive to purchase initially but they use less power and will last longer than other bulbs, meaning over their lifetime they are more cost effective than regular lighting. If you want to transform your home, ceiling lights, wall lights & even outdoor lights, you can do this with LED lighting. This is a simple yet effective way to create a wow factor.